These links will take you away from this website, click your back button to return. I do not actually produce these items, I upload my artwork to the gift sites. All products are guaranteed by their respective sites. 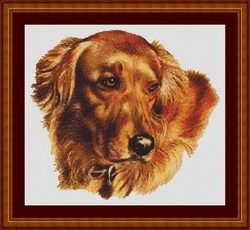 Stonebrakerart My store at Cafepress where you will find dog breed shirts, mousepads, mugs, etc. Over 50 different items that can be used with my artwork. 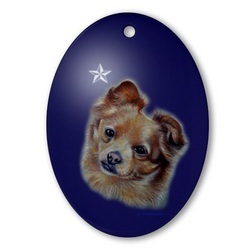 Personalization available on almost all of them Great gifts for prizes or judges for dog shows. Christmasdogs My store at Cafepress where you will find lots of dog breeds on customizable holiday ornaments and other great gifts. 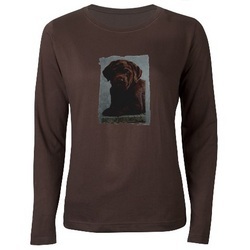 Labrador_Art My store at Cafepress featuring the Labrador Retriever breed, where you will find shirts, mousepads, mugs, etc. Over 50 different items that can be used with my artwork. Personalization available on almost all of them. White Willow Stitching My artwork on counted cross stitch patterns. This stitch designer takes a lot of time transforming my art into patterns, and it shows. 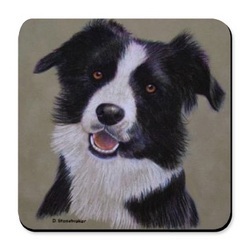 Dogstuff at Printfection.com, my art on glass cutting boards and cork coasters. 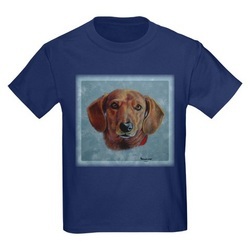 Other products can also be designed using my art or your photos to suit your needs.